Some people’s teeth are whiter than others, but it’s safe to say that most of us want our teeth to be pearly white! If that includes you, then Mason Dental in Grapevine can help you with some tips on teeth whitening, and what we can do for you. The first tip seems like a no-brainer, but many people still overlook this practice. We are talking about daily tooth brushing. Brushing your teeth with a soft toothbrush and fluoride toothpaste is one of the best ways to keep your teeth clean and prevent tooth decay. Often our teeth become discolored or stained because of what we consume (drinks, food, etc.) but when we brush our teeth, it decreases the damage. After brushing, another tip is using a fluoride rinse to finish the cleaning job. The rinse gets fluoride into the cracks where bacteria can be hiding away. When the bacteria is killed, it can’t spread and discolor your teeth. When you are shopping for a fluoride rinse, check the labels. Some ordinary mouthwashes don’t contain fluoride. Sometimes the discoloration is too extreme to be reversed at home. 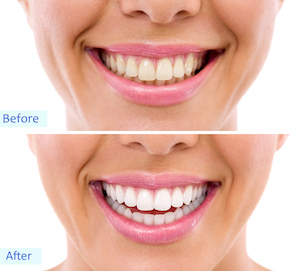 That’s where professional teeth whitening from Mason Dental in Grapevine comes in. It’s just one of our cosmetic dentistry services, but it makes a big difference in your smile. Schedule an appointment with us today.